Building survival kits can be fun and they can save lives too. Or, they may fall short, right? We cannot predict, with any degree of certainty, what types of emergencies and disasters we might have to deal with. What we can do, and should do, is be as prepared as we can. 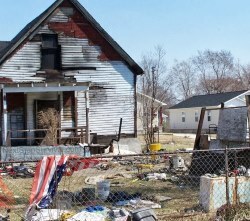 I don’t know about your home, but here in the Hawkins’ residence, you can barely walk across the room without tripping over some type of survival gear. Seriously, we have everything from a paracord bracelet loaded with cool survival gear to a 110-liter I.N.C.H. (I’m Never Coming Home) bag. 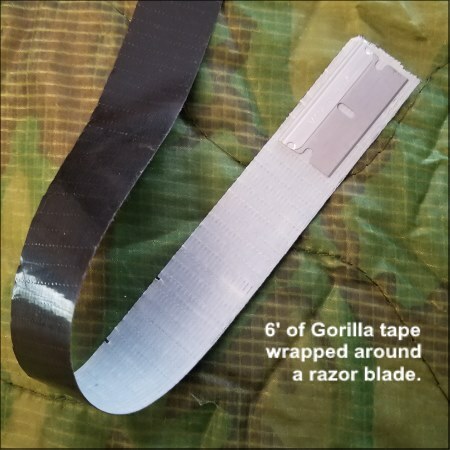 From a monkey fist survival kit to bugout bags for everyone. From the Altoid tin I just built (for this article) in no more than 30 minutes with things laying around the house to the Urban Survival Kit I built last month just for the fun of it. Both my wife and I have get-home bags and EDC (Every Day Carry) bags. 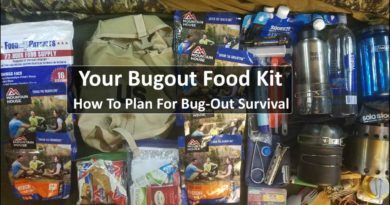 There’s a version of a survival kit I built for every bag, pack, and vehicle. So What’s The Size, Function, and Occasion? Every size, function, and occasion. It depends on what we’re preparing for. Bugging in? Bugging out? Personal protection? A natural disaster? Auto accident or breakdown? Medical emergency? Do we mind tactical or should we be a grey wolf? Will we carry the survival kit or will it stow under the bed, in a closet or the trunk of your car? Let’s start off small and look and the famous Altoid Survival Tin. 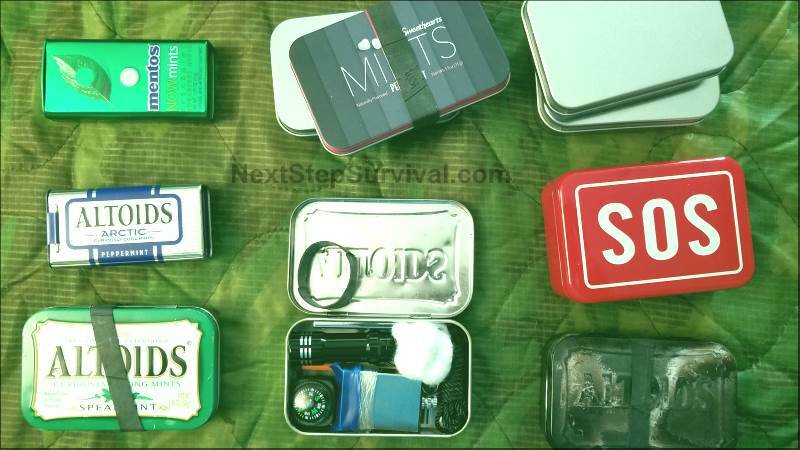 I’ve always wondered if someone didn’t build a survival kit in the form of an Altoids Tin just to show how small and east they could be – and they took off in popularity because they’re just so cool. Just a theory. Like I mentioned, I just built an Altoid’s survival kit today for this article. Well, that and because it sounded like a fun thing to do. As fun as that project was, I don’t see it as useful as I generally like. Let’s go bigger – but still very portable. 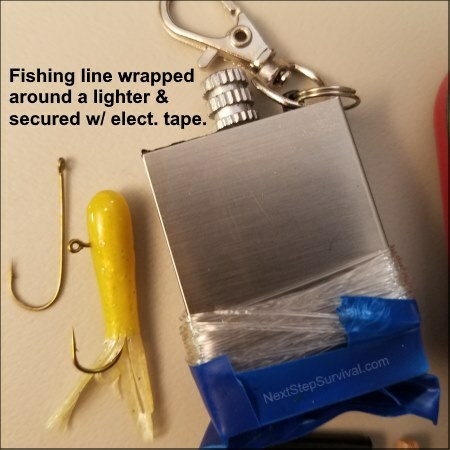 One thing almost every pack and survival bag I have has in common is this – they contain an independent, stand-alone survival kit. If you’re building survival kits as a stand-alone enhancement to existing bags and packs, e.g. 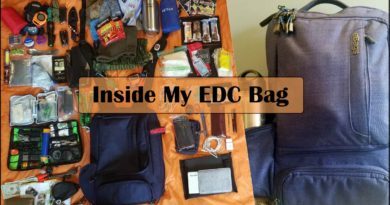 EDC bags, bug-out bags, 72-hour packs, get home bags etc., you’re accomplishing quite a bit. First, you’re building a survival kit that is portable and possibly interchangeable. 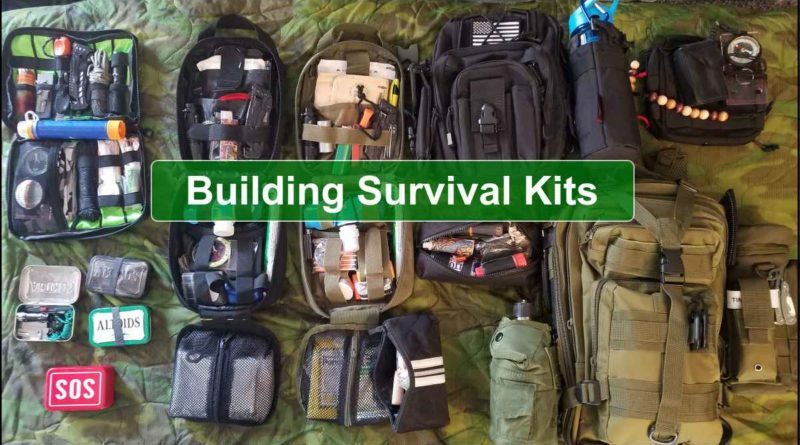 Building a modular survival kit works great if its function is the same for each pack or bag and you only need one back at a time. Personally, I don’t have the bandwidth or discipline to keep moving a single survival kit from bag to bag. Nope, every bag gets their own, BUT, they are still in a stand-alone kit. Here’s why. Follow along, will you? It’s the middle of April and 9:30 in the morning. I’ve been running for hours in the Georgia heat and humidity. I’ve had a horde of looters chasing me since 2 am when I had to shoot one of them for kicking down my door. I had no idea there were so many. I’m exhausted. I can’t see with the sweat running over my eyes and my mouth is so dry I can’t swallow. They’re still out there, close. I have to keep going. This 25-pound backpack started feeling like a cinder block hours ago. Now carrying it is no longer an option. I have to dump it or give up and die. I’m a survivor. In two seconds, I pull my survival pouch from the main backpack, strap it to my belt, and abandon that heavy anchor before it gets me killed. I can live without it. Especially since I had the forethought to build a stand-alone survival kit that has everything to keep me alive until I get to safer ground. In this little survival pouch, I have an emergency shelter, ways of making fire, filtering water, securing and preparing food, handling minor medical issues, and even defending myself. I’m so glad I thought ahead when I was building survival kits. 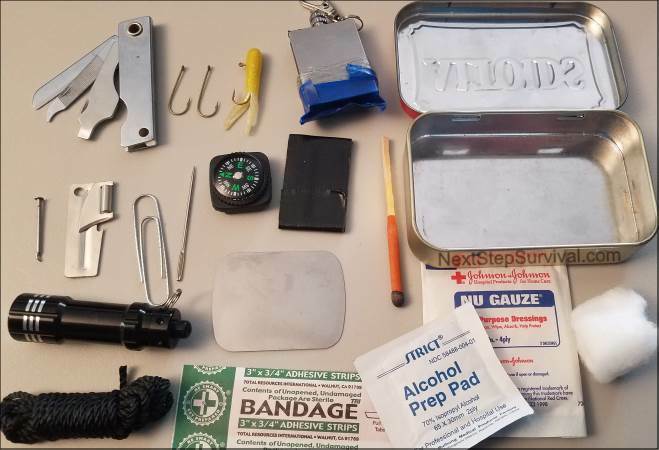 I can get a little dramatic but here’s the moral to that story – I’m building survival kits that, in the event I can’t carry everything, will still give me a fighting chance in an extreme survival situation. 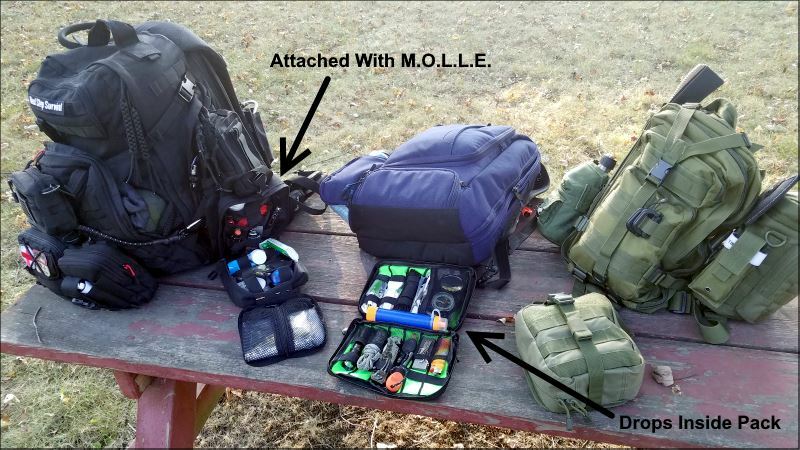 So in the pics below, you’ll see examples of the survival kits I’ve built and how I carry them. As you can see above, building survival kits can get fairly involved. 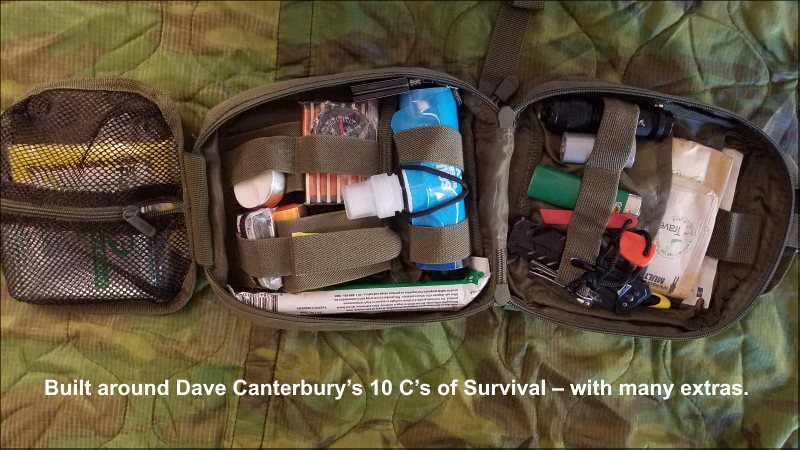 I build survival kits using Dave Canterbury’s 10 C’s of Survival and then add items I think apply to my personal situation. Without listing the contents of this entire survival kit, all 10 C’s of survivability are covered. I might record a video eventually if there seems to be an interest. As you can see, I built the survival kits specifically for each pack. 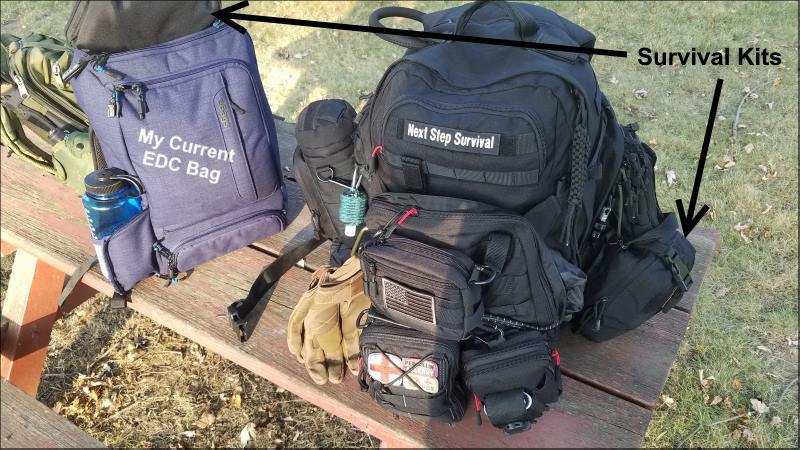 The black Condor Rip-Away EMT Pouch is attached to my survival pack using MOLLE and the survival kit for my EDC pack (Gray Man style) just drops inside. This particular O.D. Green Condor Rip-Away EMT Pouch attaches to my pick-up truck’s emergency pack (not shown). 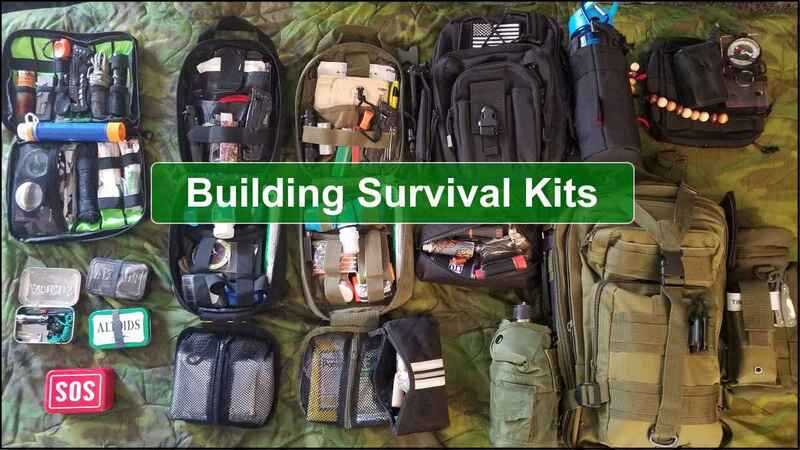 Training – Building survival kits is fun but so is using them in training situations. 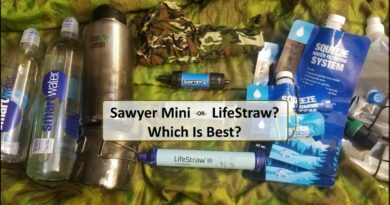 Survival gear is little use if you don’t know how to use it. If you aren’t actively training with your gear, you do not know how to use it, no matter what you are telling yourself. Training Lies – The more you know, the less gear you need, right? I’ve been calling B.S. on this little statement that is being repeated all over the net by people that, well, like to repeat things they feel make them look and sound smart, for a very long time. In this case, not so much. Without going on another rant on this subject, in the military, we trained like no one’s business. We were also well supplied. Why? Why did we need all that gear if we knew what we were doing? Because we had a mission to accomplish and there’s no room for ego when it comes to winning, saving lives, and possibly dying for your Country. Get your gear and train with it. Train hard and enjoy the gear. Learn how to get along without your gear too but take care of your gear like your life depends on it. Want to build a fire with a bow drill? Me too, but you won’t catch me away anywhere outside a pool or the shower without a Bic lighter. Building survival kits should always start with a plan. Understand the role your kit is going to play, the size and weight requirements, and research quality. I recommend starting out smart and slow to avoid spending money on a bunch of gear that sits around doing nothing. I have a bunch of gear like that and I’d love to see you avoid that phase.